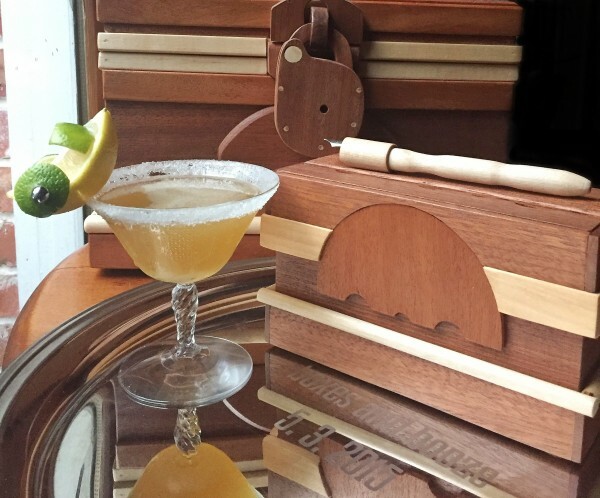 I’ve been meaning to write about another classic from the dawn of cocktails called the “Sidecar”, and this puzzle box, the “Writer’s Block 2”, a little sidecar extra to go along with the original box, has given me the perfect pairing opportunity. 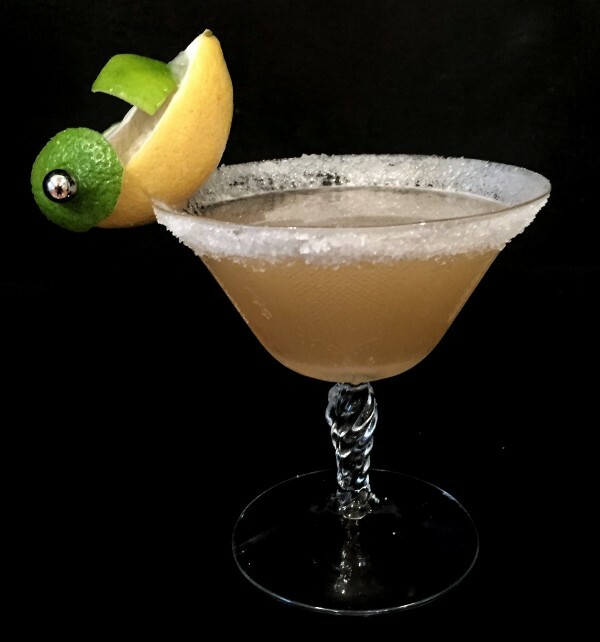 The Sidecar is the fancy, evolved version of a prior original drink, the Brandy Crusta, which was invented in New Orleans in the mid nineteenth century by Joseph Santini. It was then made famous by the “Professor” Jerry Thomas when he published the recipe in his 1868 cocktail book. The Crusta elevated the cocktail game, which was typically a mix of spirits, sugar, water (ice) and bitters (i.e. the Old Fashioned), by adding some lemon juice and a sugared rim to a glass of brandy, curacao and bitters. This was a turning point for cocktails and a leap forward, believe it or not. If the Crusta was an evolved cocktail, the Sidecar was the refined finale. Unlike the typical sidecar, which rides alongside the more prominent primary vehicle, the cocktail Sidecar stole the show. The drink is of course almost identical, but as it came to life in Paris during the American Prohibition, it took on a more elegant and mystical air. There, at the famous Harry’s New York Bar, it was made with cognac, and sweet orange Cointreau, along with the lemon juice. The sugared rim acted as more than a flourish, providing an important additional component of sweetness essential to each sip. The name, so the story goes, was for the Army captain who it was created for, who reportedly arrived to receive the tasty tipple in a motorcycle sidecar. True story? Who knows. It’s clear the drink existed as the Crusta long before the Sidecar showed up, but that’s the way the crusta crumbles. A classic sidecar would have been just fine for this pairing, but I felt like it needed, well, a little extra. So I continued following the evolution and refinement of this drink into the current era. Which brings us to one of the pioneering figures of the modern cocktail revival, a woman named Audrey Saunders. Her Pegu Club bar set new standards when it opened in New York. 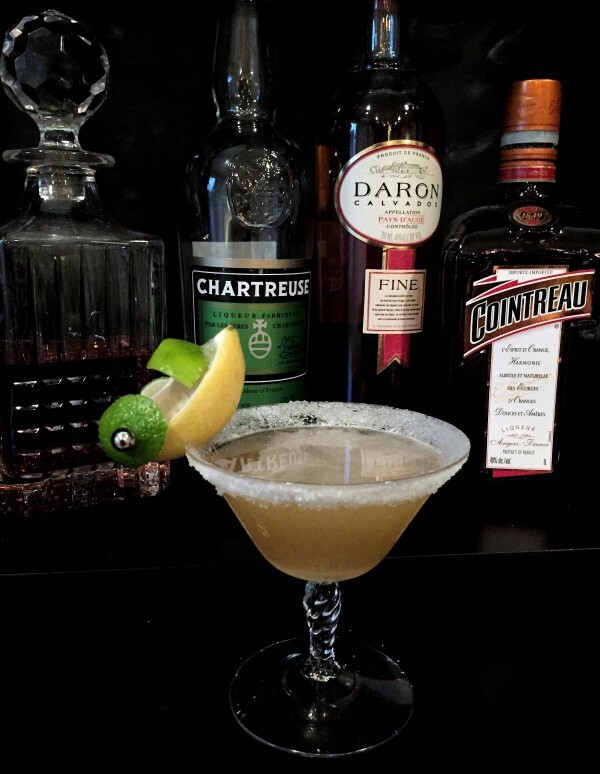 Through her exacting creative process she invented a handful of well known modern classics, including the “Tantris Sidecar”, an innovative and delicious update to the original. This Sidecar once again improves on the original and takes center stage. Another apropos aside about the perfect pairing of the Writer’s Block 2 with the Sidecar pertains to the alternate meaning of the term sidecar in libation lingo. The term was adopted by bartenders who would misjudge the amount of cocktail they were mixing, and have too much for the glass. The extra would be poured into a shot glass and served alongside the main drink as a little bonus, a sidecar. Some even suspect that this term is truly how the Sidecar cocktail got its name, too. How perfect that the Writer’s Block 2, a true sidecar of a puzzle box, contains a set of shot glasses, just in case there’s a little extra liquid inspiration overflowing from the original box. Here’s to the little extras in life – cheers! Shake ingredients together with ice and strain into a sugar rimmed glass. Lemon peel garnish is traditional. Make extra and add a little sidecar to your sidecar.